Nigeria’s National Identity Management Commission (NIMC) will issue 13m MasterCard-branded and payment-enabled national ID smart cards as part of a pilot programme. This programme is the largest ever roll-out of a formal electronic payment solution in Nigeria. In the first phase of the programme, Nigerians aged 16 and over, and all residents who have been in the country for more than two years, will get the new cards. It’s hoped it will help advance the Central Bank of Nigeria’s “cashless policy”, which is meant to reduce reliance on cash, and to minimise fraud and the costs associated with cash for consumers and companies. Nigeria’s Access Bank is the pilot issuer bank for the cards, with Unified Payments acting as the payment processor. Other issuing banks will include United Bank for Africa, Union Bank, Zenith, Skye Bank, Unity Bank, Stanbic and First Bank. The new cards will include a new, unique national identification number assigned to each resident. Individuals’ demographic data and biometric data, which includes fingerprints, a picture and a digital signature, will be captured when the card is issued and will be used to verify the cardholder’s identity. People will be able to use the cards as a prepaid payment tool by depositing funds on them. It will also be possible to receive social benefits, pay for goods and services, or withdraw cash from ATMs with the new cards. All cards include the EMV chip-and-Pin standard. 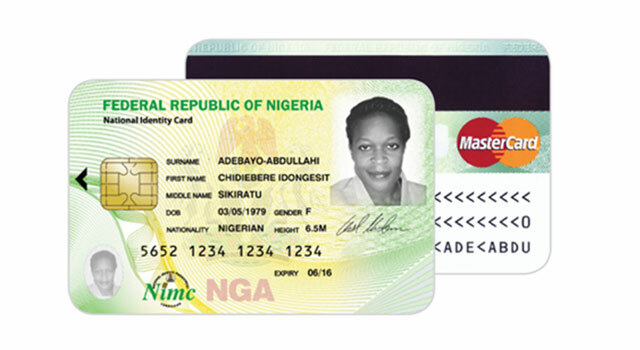 Once the National ID registration process is concluded, the NIMC plans to introduce more than 100m cards. The Zambia Electricity Supply Corporation (Zesco) says the second phase of a power-line fibre-optic cable project is nearing completion. The project has involved installing fibre-optic cables on high-voltage power lines to connect rural towns and Zesco facilities. The consortium behind the roll-out of a proposed national 4G mobile network in Kenya has put the project on hold until radio frequency spectrum is freed through the migration from analogue to digital broadcasting systems. The consortium includes local mobile operators and the Kenyan government. However, the move to digital broadcasting is not the only challenge facing the project. Concerns have been raised by most of the country’s operators about its timing and value given the slow uptake of existing 3G networks.